I’m really sure that the past 6 months flew by just like that. I can’t believe we are in July already- this is our big month when we will get to see our little one soon. It also means I feel huge! I feel blessed that I have not experienced much backache or pains for that matter this pregnancy- just lots of throwing up, feeling sick, heartburn and exhaustion. You may recall that I posted before (here and here) regarding my journey from being unhealthy and obese to being healthy. Well, my normal exercise regime has gone out of the window and of course, I’m eating more carbs than I ever did before. I have become rounder and rounder. Don’t get me wrong. I’m still active! I am proud to say I engaged in boxing exercises till I was 7 months pregnant, continued to do Konga and managed to squeeze in plenty of walks, hydrotherapy and yoga. I’m now in my last stretch and still continue to gym and walk. I did what I could and even so, I gained more than what I would like to be. I have a great doctor, who informed me that as I am active and healthy, weight gain is not a bad thing- it is a good thing that baby is growing well. That’s my consolation that it is not about me- it is about bub after all. There are times, when I do feel a little down, and a fear that I would be the same obese/unhealthy teenager that I was. Fear is illogical though, and deep down I know that the knowledge I gained over the years will help after bub is born. And perhaps my body will never be the same again but I can give myself permission to feel down at times, and then remember that it has gone through the journey of life. The body is truly amazing. I do try to make healthy breakfast options. Now that it is winter, I liked warm cooked breakfasts even more. 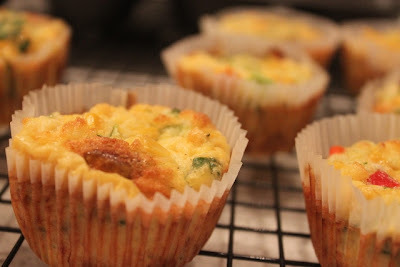 I came up with these eggy muffin cups one evening. It’s really whisked baked eggs with great vegetable and cheesy goodness. I love mine with a hint of chill. I usually make them the night before, and just warm it up for breakfast or for an afternoon snack. Preheat Oven to 180C. 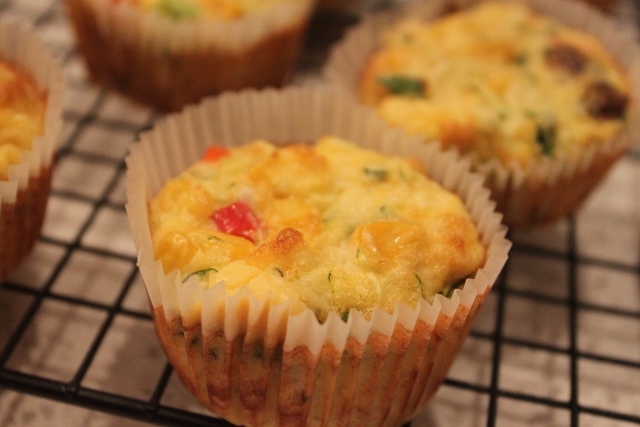 Fill muffin tray with liners. 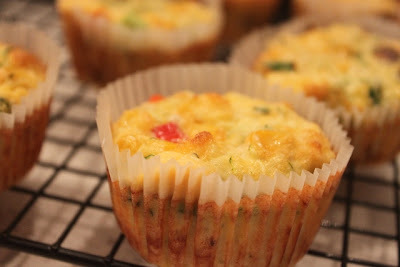 Whisk all ingredients together and spoon into muffin liners. Bake for around 20-25 minutes. Serve warm! This entry was posted in Breakfast, Brunch and Breads, Cakes, Cupcakes and Muffins, Eating clean, healthy, Pregnancy, Quick and Easy.